FAR 103 is Alive and Well! 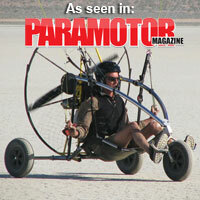 The TrikeBuggy Bullet is America's most popular Powered Paragliding (Paramotor) Trike! 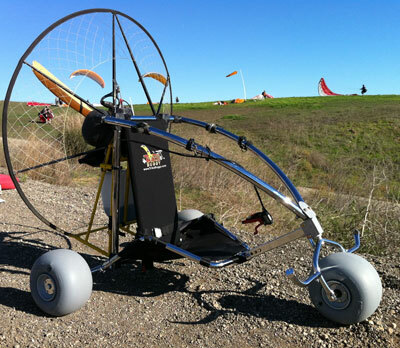 Our PPG and Delta Trikes are inspired from designs that are both visually appealing and highly functional. 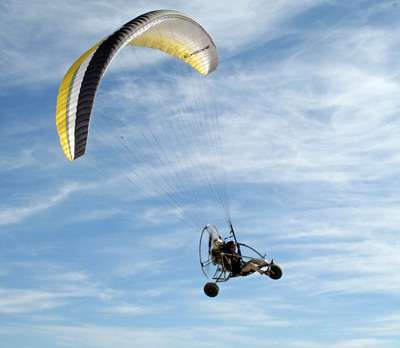 Our TrikeBuggies are all FAA Part 103 legal as Ultralight Vehicles, allowing us to realize and enjoy our dreams of flying. 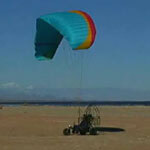 The Original TrikeBuggy was designed to allow PPG pilots to launch, fly and land easily with wheels. 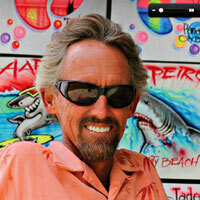 Visit our 'Sites' page to see where we'll be! 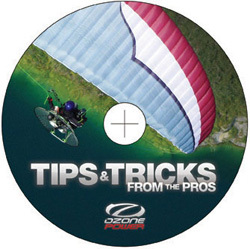 A new DVD from Ozone POWER with some good PPG Trike Tips! A new Video about Flying! 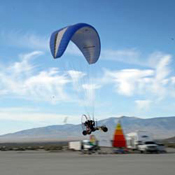 The TrikeBuggy is quite simply a microlight aircraft made for solo flight utilizing a PPG motor attached to a Stainless Steel Kite Buggy with our unique frame design and a paraglider wing to achieve flight.